Russia is actively upgrading its early-warning radar network - there have been quite a few changes since my last update. First, the radars in Armavir (or at least one of them) began combat duty operations in June 2013, replacing the old Daryal radar in Gabala, Azerbaijan. Also in June 2013, Russia began construction of a new radar in Barnaul (reportedly Voronezh-DM). In August, construction of a Voronezh-M radar began at another site - near Orsk in Orenburg region. Two Voronezh-M (also designated Voronezh-VP for "high potential") radars are operating in pilot mode in Michelevka (Usoliye Sibirskoye, Irkutsk). 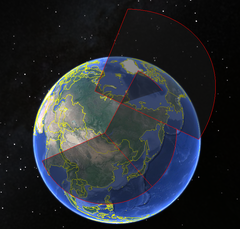 According to an interview of the representative of RTI, the institute that designed the radars, the first face began operations in October 2011 and is working in experimental combat mode since December 2012 (during this time it was said to have detected six launches from China, some of them - without notification). The second face started operations on 17 July 2013. According to RTI, the faces have dimensions of 80x50 m and the power of each is 700 kW (this is probably power of a pulse, not an average power). It is likely that once these radars begin combat duty, the old Dnepr in Michelevka will be either taken offline or reoriented toward space surveillance. The map above shows how the coverage in the East would look like in this case. Few more radars are at the planning stage. According to one report, Voronezh-VP radars will replace old radars in Pechora and Olenegorsk. Construction is expected to begin in 2015 and 2017 respectively. Two more radars have been mentioned in various reports - one in Eniseysk/Krasnoyarsk and another near Omsk, but I could not find anything firm about these. 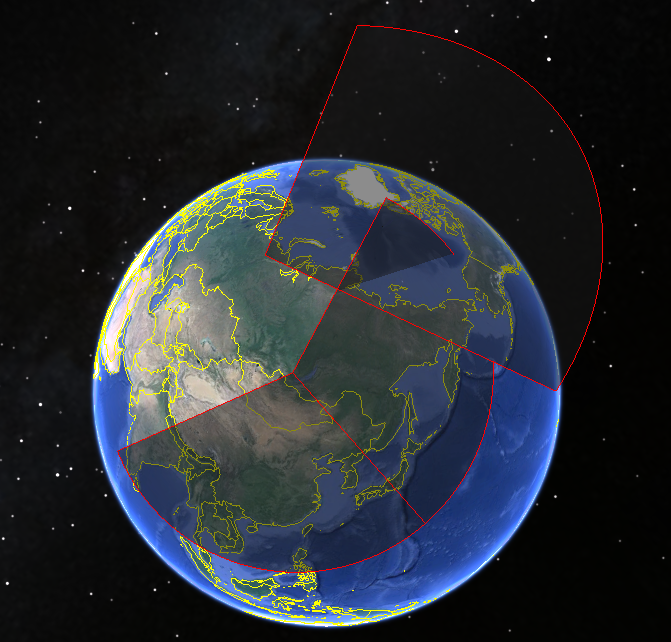 I prepared an updated Google Earth kmz file that shows how the radar fans look like as of August 2013 - Russian early warning radars Aug 2013.kmz. The Mishelevka radar is visible in Google Earth in the historical imagery. The arrays appear oriented about 55 degrees and 165 degrees. Barnaul must be either former SA-5 or SA-2 sites 20 km south of the city. Orsk site is around Stary Kumak. Enisseysk - just north of the city. What direction will the Orsk and Barnaul arrays be facing? I've heard before about a new array at Krasnoyarsk, I hope they orient that array north and network it with the air and air defence forces. All the new radars seem to be in the meter band. Does that mean no more UHF band? What about the old plan of interlacing UHF and VHF radars? I thought the idea was to have Volva-Daryal-Volga-Daryal? artjomh: As I understood it, Volga will be replaced by Voronezh as well at some point. The Russian system of missile warning (EWS) on Tuesday morning recorded the start of the two ballistic targets in the Mediterranean Sea, according to the Defense Ministry. In Defense of Israel, in turn, reported that the registered test launches were targets for missile defense systems. They were held in conjunction with the United States. "Triggers, in question, was a test target missile" Anchor ", which is used to test missile defense systems," - said the source. "The launch was detected (at 10.16 MSK) combat crew separate radio host in Armavir early warning system" - told the representative of the press service of the Defense Ministry and Information. According to him, the trajectory of these goals was held "in the central part of the Mediterranean Sea in the direction of the eastern part of the Mediterranean coast." Following this, the message Defense Ministry spokesman said that the head of the Defense Ministry Gen. Sergei Shoigu told President Vladimir Putin about the situation. Yes, I've seen these. Unfortunately, it's hard to tell where they are. Do we know the location? Thank you. But the structure is not visible yet. Looks like they are building it from scratch.